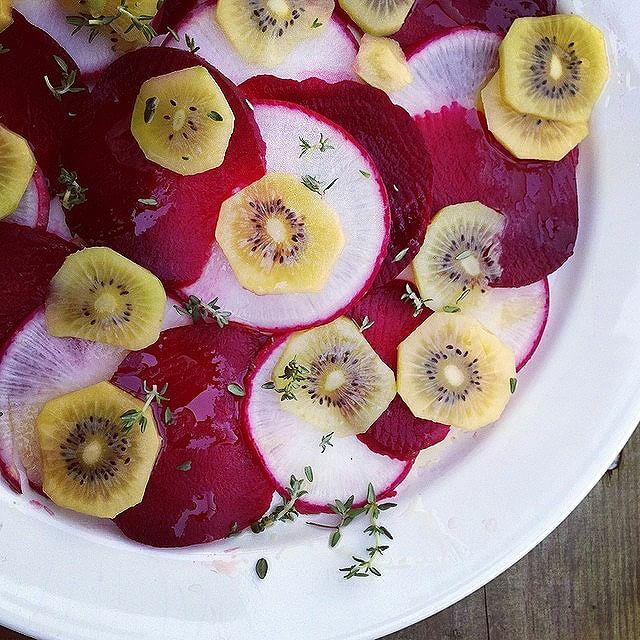 I'm making a salad of crisp radishes, sweet beets, yellow kiwi with thyme, vinegar & oliveoil. Should be a perfect match for todays' chicken & mashed potatoes with garlic . What's better than eating a meal that makes you feel fantastic inside and out? These recipes are backed with antioxidants, fiber, protein, healthy fats and complex carbs to fuel your body, make your skin glow and your digestion run smoothly. From salads to soups and roasted veggies to smooties, the possibilities of creating clean recipes are endless. These nutritious and tasty recipes are made from whole foods; they can be served for an easy weeknight meal or a fancy weekend gathering. Plus, they're perfect for exploring new flavors and textures to excite your taste buds. This feed is for you if you're looking for ways to start Eating Clean and feel amazing.